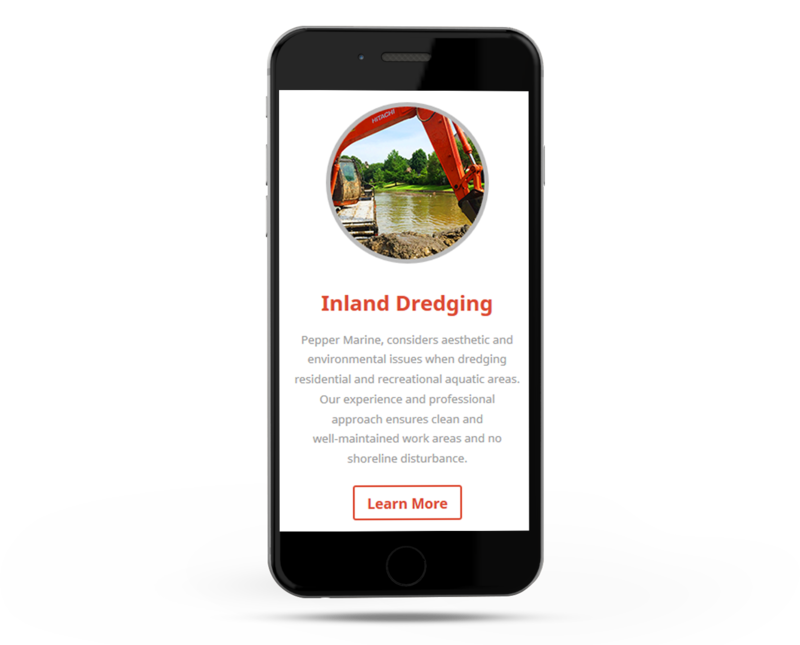 Based out of Henderson, Texas, Pepper Marine came to us with a vision for a website that would help them communicate their mission of providing clean, considered aquatic areas. Pepper Marine leads the industry in professional waterway solutions for Texas, Oklahoma, Louisiana and Arkansas. 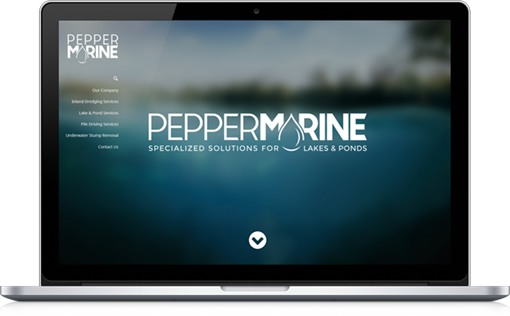 Pepper Marine came to us for a complete branding including a logo, website, and business cards. This post will only focus on the website portion of the project. The branding process began with designing a logo that embodied the essence of clean water. The result was a color palette of soothing blues used alongside thin and bold typography. After completing the logo design, we began designing a single page website to simplify the online experience. Our goal was to place all four core services Pepper Marine offers in the spotlight by offering clear and concise information. The website also features rich imagery throughout the layout. 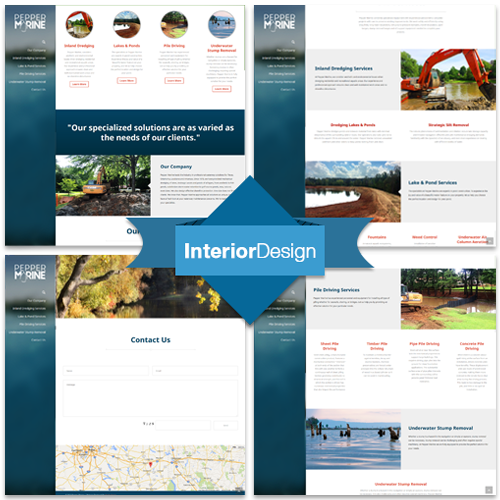 Lastly, our clients wanted a modern design that looks great on mobile devices. Our mission for the website was to simplify the user-experience. We designed the layout in such a way that feels intuitive. We placed a static navigation menu along the left side of the page with jump-to sections the webpage. 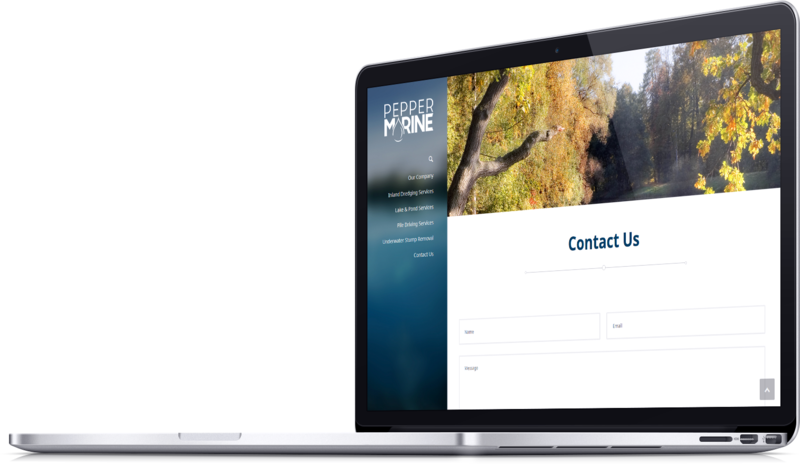 We built Pepper Marine, using the latest standards in responsive design. 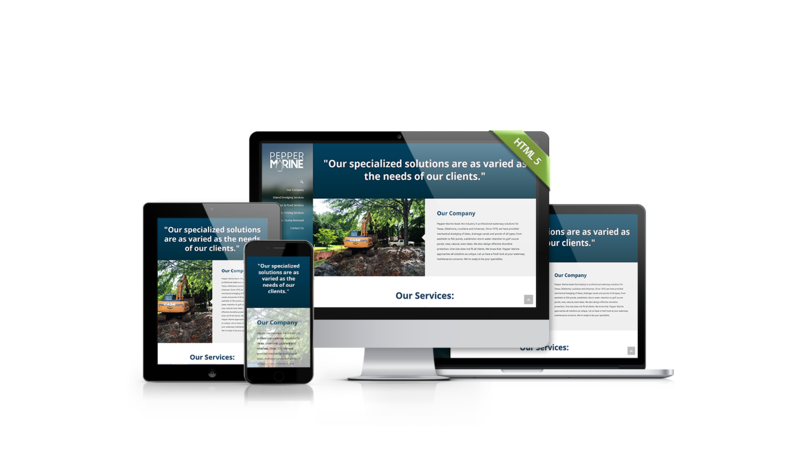 These standards allow our design to look great on any device.